Why people get eye tattoos? 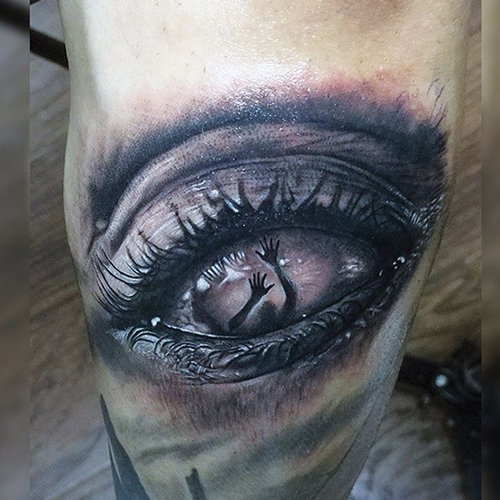 The eye is a popular choice of tattoo all over the world. The meaning that it signifies varies from culture to culture too. Some major reasons for engraving the eye onto ones body may include protection, to heighten their senses by using a physical representation to focus on, to represent sacrifice, to express alertness like an animals natural defense mechanism, to represent a gate way to the soul, to express a specific emotion like sorrow or anger, it is even used as an acknowledgment of a secret order prevalent in the world. There are many different types of eye tattoos. The style and design of the tattoos defer based on the message that is to be communicated. For example the eye of Horus or Ra has been tattooed on countless people through out the ages. It is a tattoo from the ancient world. The source of inspiration for the eye design comes from the falcon. The eye of a cat is a common tattoo too. Some eye tattoos are inspired by tribal designs. Some are made to look extremely realistic and three dimensional while others are line drawn and more symbolic looking. A lot of eye tattoos incorporate tears or blood to express inner emotions. Due to its wide use through out culture, the eye can be seen in many styles and forms. People who follow Anime get tattoos of Sharingans these days. Sharingans are eyes with special visual prowess. Sharingan evole into “mangekeyo sharingans” eyes which come in many designs. This was popularized by the anime Naruto. 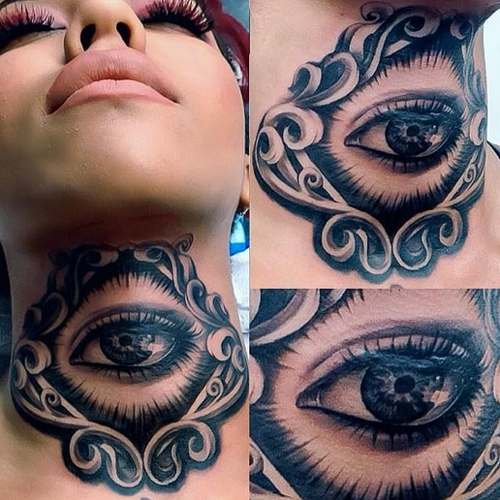 Some times eye tattoos are made to look let a third eye of awareness. The types of eye tattoos are countless. New designs are coming out all the time. As mentioned earlier, there are many meanings of the eye and they vary from culture to culture. Some common meanings include, Vision, Sensation, life, Gate way to the soul, religion of god, focus and right mindedness, clarity of thought and vision, the inner being, Protection from evil, The ability to see through the obvious, intelligence, perception, intuition, prophecy or foretelling of the future, universal consciousness etc. Horus lost an eye before defeating Seth to see who would get the throne. The left eye of Horus was the moon while the right one was the sun. he lost his left eye but the god troth restores it after the battle. This is often the subject matter of symbolic eye of Horus tattoos. In Christianity the eye represents the religion of God. A bleeding eye my represents the adverse effects of exposure to the world. The list goes on and on. Eye tattoos are special as they have such a vast array of meaning and significance. It is one of the most basic symbols in human civilization. The usage of it can be dated back to thousands of years ago. They are timeless and always will look beautiful. There is no chance of eye tattoos going out of trend. Getting an eye tattooed can have a strong impact on the personality. It can be used as a tool to reflect on life issues. Meaning will be added to it as time progresses while you grow as a person.